Canadian Mental Health Association – Calgary Region is excited to invite your school to participate in YouthSMART, our school-based youth mental health initiative, during the 2018/2019 school year. Participating schools become “SMART Schools” and will commit to the development and implementation of their action plans. SMART Leader students and their designated teachers will work collaboratively together to execute ongoing, school-wide mental health awareness activities throughout the year. They will read occasional electronic newsletters and respond to 3 brief, seasonal (fall, winter, spring) progress report emails. 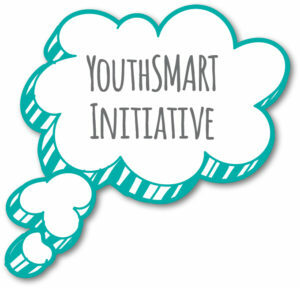 The YouthSMART Toolkit – a step-by-step guide with mental health information, topic suggestions, project ideas, and templates. Access to YouthSMART Educators and CMHA Youth/Family Peer Supporters – experts and speakers to help guide student projects. A Menu of Optional Mental Health Learning Opportunities – Schools are offered a rich menu of optional learning opportunities available throughout the year, to increase student knowledge, and enhance ongoing work within the initiative. The initiative concludes spring 2019 with an optional celebration event. To finish the year, students reflect on the impact they have made in their schools, and new awareness concepts and avenues of learning are co-generated for future youth supports from CMHA and YouthSMART. In the past, outcomes from the YouthSMART Initiative have demonstrated that participating schools experience a whole-school, population-wide reduction in stigma, an improved understanding of mental health and resiliency, an increase in help seeking behaviours, and a substantial shift toward a safe and supportive school culture. We would like to invite up to six (6) of your students and two (2) of your teachers to lead this important initiative within your school-community this year. Capacity is limited, and schools must formally enroll with YouthSMART to participate. If your school is interested in becoming a 2018-2019 SMART School please contact [email protected] for further details. YouthSMART looks forward to working with your school this year! We all talk about stress, but what is it? Stress may feel overwhelming at times, but there are many strategies to help you take control. What If I'm Having Thoughts Of Suicide? Suicide may seem like an answer to the emotional or physical pain you are feeling, but there is help available and you can feel better. There are different types of support, and the best treatment varies from person to person. You are not alone. There is help. We all work hard to keep our bodies’ healthy, but what about our minds? Just like our physical health, it is important that we keep our mental health in check. Mental illness can be very overwhelming, and you may feel as though you will never be yourself again, however there are many options available to support you. What we say and how we say it can be very powerful. You have the power to help in your everyday life put an end to stigma! Using an educational-based approach, Discovery College offers courses to help young people recognize and develop their own resourcefulness and awareness in order to support themselves in their own mental wellness. The courses and content have been built, imagined and lead by our young people! If you are between the ages of 16 and 24 come join us to discover the meaning and purpose in your journey. It’s an opportunity to really delve into who you are, what you want out of life and the possibilities available to you because of all the hidden qualities you possess. Discovery College is about learning from each other, sharing experiences and ideas and exploring your own interests and potential outside the limits of mental health. Join a relaxed environment where everyone is equal and there are no “rights” or “wrongs”. Participate in groups with others who will listen without judgement, offer support in who you are as a person, and learn what actually works to help you stay healthy and be the best version of who you are meant to be. Take action and learn to become an expert in your own well being today!